Mollie Roy, 18, will once again be taking the reins at this spring’s 10th anniversary edition of Westfest as the festival’s street performer coordinator. Roy, a grade 12 student at Nepean High School, holds the position previously filled by her older brother. “After he graduated and moved away, I decided that I would contact Westfest producer Elaina Martin myself and kind of make it my own,” she said. She is bringing together a cast of buskers that will include some long time performers as well as some fresh new faces. Some street performances this year will include hula hoop gymnastics, acoustic musicians and percussion groups. 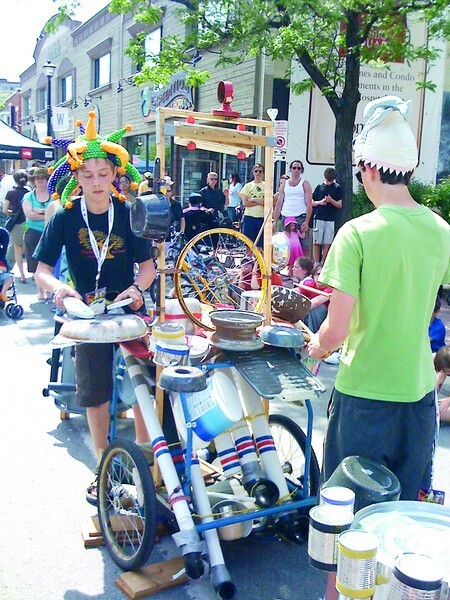 Buskers are sure to bring a unique and eclectic flavour to the neighbourhood’s sidewalks and will keep music flowing throughout the crowd. “They just line up all along Richmond; different hubs where there are lots of people,” said Roy. Mollie herself will be joining in on the performances as well; she is an accomplished singer and guitarist with many years of music lessons under her belt. She will be teaming up with some musical friends on acoustic renditions of popular tunes. In all, expect to see a great variety of street performances over the entire weekend. “We usually work with between 15 and 25 different acts, it depends on the year, and then some people will perform more than once,” says Roy. Lively buskers are a highlight of the closed streets of Westboro during Westfest. Buskers will be running all day Saturday and Sunday from around 10 a.m. till 4:30 p.m. In addition to music and her Westfest responsibilities, Mollie also gives back to her community as a recreational gymnastics coach at the Ottawa Gymnastics Centre and is active in extracurricular activities at her high school. “I’m doing a bunch of stuff such as helping to run leadership programs for younger kids coming into school,” she says.